Rare, original, GPO antique bakelite telephone. Fully-restored and working. This is one of our rarest telephones, which sits securely to its own bell set. 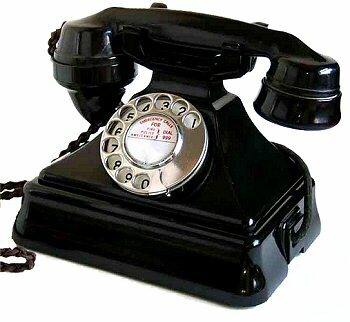 This is the classic 1930s British desk telephone (232), lovingly restored to a beautiful condition. Supplied with a modern BT plug as standard, or with a suitable plug for your network if sent to a different country. All telephones have a 12 month guarantee. We also offer a full repair service.